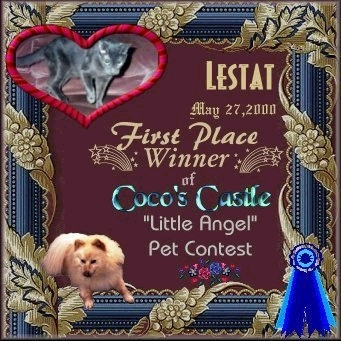 Lestat won first place in the Coco's Little Angel contest! His new nickname is "first place kitty". Mommy was SOOOOOOOO happy! he will be in the quarterly in July. 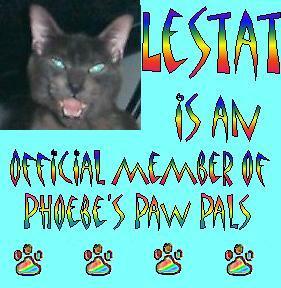 Lestat won the Julie and Simba contest with well over 700 votes. 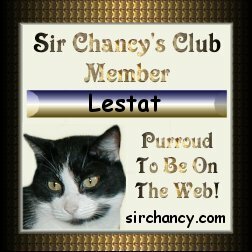 That's pretty good fur a 1 week contest. 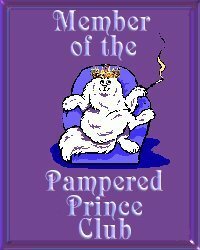 Just thought those of mew who "hate for the cat to win" would like know that ;) he was the first winner of the year 2001.